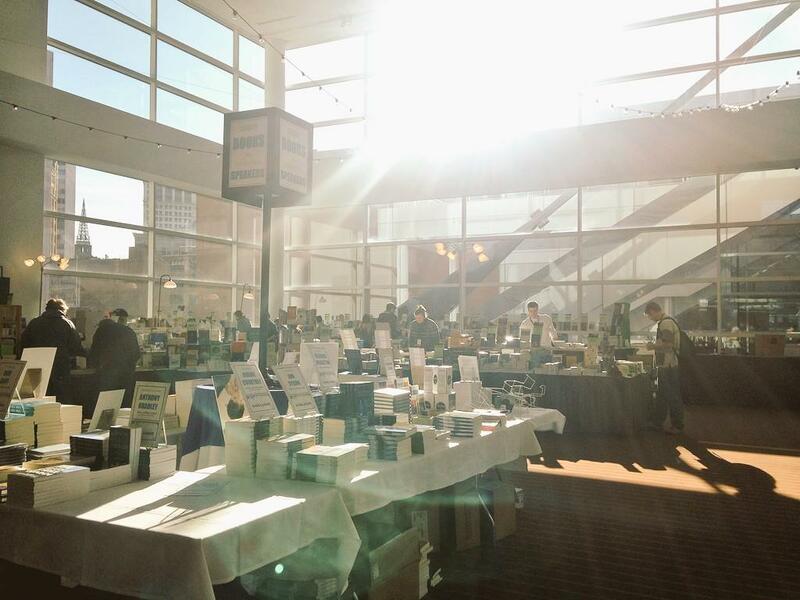 It was freezing outside, and pretty cold setting up, but the room was sunny. The Jubilee conference is a high-energy, life-changing event with all kind of shenanigans, craziness, powerful (and multi-ethnic) worship and sophisticated, serious teaching about a few core truths. Jubilee has (since our early involvement with the formation of the conference in the late 1970s) talked about how college students can serve God in their various studies, preparing for careers, by developing a sense of calling and vocation, by deepening the Biblically-influenced mind, and by entering into a desire for a prophetic imagination. Perhaps they will become social reformers or dream up cultural initiatives to be salt and light and leaven in the world God loves, but we hope they will see themselves as agents of gospel reconciliation, wherever they end up. They will be God’s agents, in the world and in the church. Another routine theme proclaimed and modeled at Jubilee is that there is no divide between the so-called sacred and secular; we can have a life of celebration and joy, knowing that in Christ, God’s grace not only allows us to know forgiveness, liberating us from the power of sin, but causes us to experience the Spirit’s presence in the day to day of our ordinary lives. 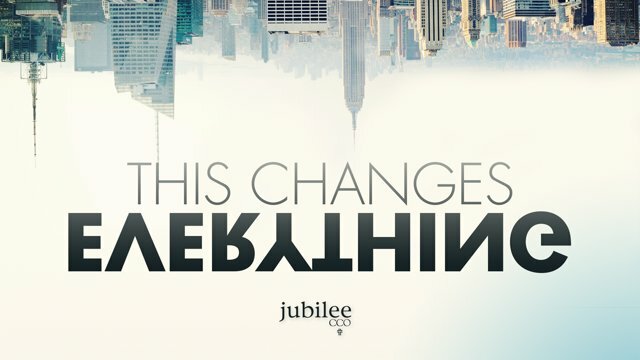 Call it the “spirituality of the ordinary” or the Lordship of Christ over all aspects of life, but Jubilee – not unlike the cultural shalom promised in the Year of Jubilee in Leviticus 25 — invites us to a wholistic faith, based on God’s own promises to restore and make new all of the good but fallen creation. This was the theme of Jesus’ first sermon, you know (Luke 4.) The upside down logo and slogan this year shouted that “this changes everything!” And, indeed, it does! There are always lots of authors at Jubilee, whose books we celebrate, and many of the workshop leaders and seminar speakers who are not authors recommended books to their listeners. From books on science and engineering to theater and the arts, from criminal justice to special education, nursing, counseling, math, business, computer science, environmental studies, social work, politics, media studies, we sold a lot of books to these idealist young adults. Hours and hours we talked with students. This is a slow cook reformation we are a part of, selling our books in venues like this, where research can be done about how the brokenness and dysfunction and idols and injustices in various spheres of society can be slowly overturned in our lifetimes. Thanks be to God for these young students who may not necessarily feel called to church ministry or the mission field, but will nonetheless be vehicles of the reign of God as they are scattered across the vocations and professional associations of this land. Here is a promo video that helped recruit students to attend this event. Watch it now, and make a mental note to look for next year’s promotional material and then spread the word to college age folks you know. Here is a quick highlight video with a montage of scenes from Jubilee 2015. It’s fun. Here is a link to the conference program book. There are good articles by James K.A. Smith, Skye Jethani, Vincent Bacote and Diane Paddison, a significant book list Beth and I curated, and a bunch of ads from innovative mission and educational organizations. Not to mention descriptions of all the speakers and workshops. It’s really worth seeing. And do notice that book list – good stuff, in several key categories. Here is a link to the adult, pre-conference called Jubilee Professional. Again, it is a remarkable gathering, and we are grateful to get to speak there each year. Maybe you and some of your colleagues might consider attending next year. Watch this video, winner of the High Calling short video contest held at Jubilee. This year the winner was a Purdue engineering student, telling how “engineers are makers.” Wow. Here is the video of last year’s winner of the High Calling Jubilee video contest. It is a wonderful look at a student’s desire to be a rancher on a working farm. Thanks be to God for this! Here is a long, breathy article I wrote last year telling about our launch of Steve Garber’s important book, Visions of Vocation: Common Grace for the Common Good (IVP; $17.00) at Jubilee 2014 and about Steve’s many connections to the themes and leaders that were at the conference last year. If you like Steve’s book, or you appreciate our work here, I’d commend this to you as it suggests some of our deepest loyalties and our appreciation of the stuff Steve, his book, and the Jubilee folks are reaching for. I know, it’s long. Enjoy. Here is a passionate piece I wrote, “3 Take-aways From Jubilee” (2012) where I work up a head of steam talking about the significance of these themes and the implications of the Jubilee vision for all of us. There’s an epic book list, too, for you biblio geeks. A very special thanks to emcees Michael Chen and Michael Thornhill for helping me do the book announcements. For random reasons only known by our accounting firm — wait a minute, we don’t have an accounting firm. So, for reasons perhaps known by no one, here are some great titles we want to blow out the door, so we’re selling them at holiday door-busting savings, even below our cost. This post-Jubilee inventory clearance sale is for a limited time only, a quick chance to get big savings, while supplies last. Do this, and we will be grateful: if you buy a bunch, we free up some space underfoot. Even the office dog, Rory the Bichon Frise, will be happy. DISCOUNT LEVEL A: Buy any array of 5 or fewer — get them at 30% off. DISCOUNT LEVEL B: Buy any array of 6 or more — get them at 50% off. DISCOUNT LEVEL C: Buy any array of 10 or more — get them at 55% off. This offer is good for just 5 days. It expires March 9, 2015 at midnight. While supplies last. Anyone who buys books during this sale will get a free book (of our choice.) We’ll throw in something good absolutely free, to express our gratitude for your support. Enjoy! We will continue to stock all these books, of course, so we will then offer them at our more customary 20% off for BookNotes readers. We show by the title the regular retail price. We will then deduct either 30% or 50% or 55% off, depending on your discount level. We’ll do the math, you get the savings. 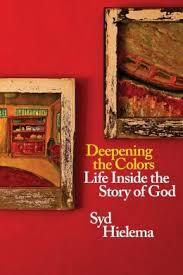 Deepening the Colors: Life Inside the Story of God Syd Hielema (Dordt College Press) $14.00 This is one of the best books I’ve read in a while that invites us, with clarity, whimsy, and a substantial theology (influenced, it seems, by the Dutch neo-Calvinist Abraham Kuyper) into a meaningful life in God Kingdom. This beautifully explores basic Christian living, finding one’s identity, and taking up one’s days as part of the grand redemptive story of the Bible. The Bible reveals God to us, and in Christ, we come to know ourselves, our direction, and a deeper (more colorful) view of life itself. This is really good, useful for teens, young adults, or anyone wanting a richer, more vibrant life picture, seeing the relationship between faith and life. I’m a big fan of this new book and invite you to form a book club around this, give a few away, and help us spread the news. Hielema has gifted us with a great, useful book! 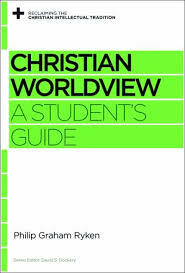 Christian Worldview: A Student’s Guide Philip Graham Ryken (Crossway) $11.99 This is the most succinct but still substantive exploration of what we mean by a Christian worldview, and how the major themes of the Biblical narrative – a good creation, a wrecked creation, a redeemed creation – can color and shape how we think about life and how our discipleship can naturally be lived out in all the various aspects of life and culture. Look: if you have never read any book on this, why not try this one? If you do know this material, you will realize how vital it can be, and you could pass a few of these on to those whose faith is constricted or truncated or needlessly grumpy. Ryken is the very literate and astute President of Wheaton College, and we are glad to promote this fine, small work. Philosophy: A Student’s Guide David Naugle (Crossway) $11.99 This is another in the great little series called “Reclaiming the Christian Intellectual Tradition” (which includes titles, which we had at Jubilee, on the liberal arts, on psychology, ethics, the arts, politics, the natural sciences, all quite nice.) 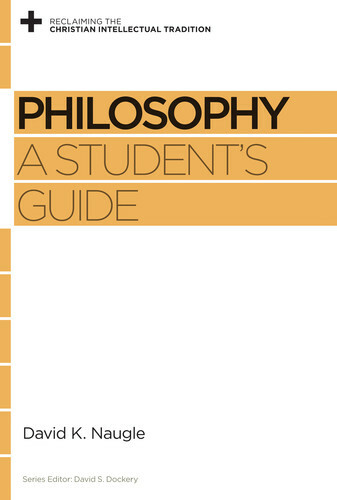 This one, you should know, is a personal favorite, and it is featured at Jubilee out of our conviction that if one wants to think well about anything, it pays to know a little about basic philosophy. No one does this big job as well as our friend Davey Naugle, who teaches at Dallas Baptist University. 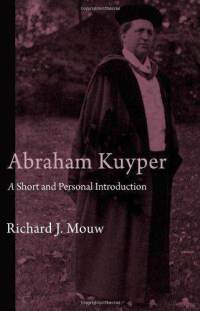 He has spoken in other years at Jubilee, and we tried to promote this little volume this year, too. Don’t be scared away: it is not too obscure, and it is truly beneficial. Naugle is the author of the magisterial book Worldview: The History of a Concept and the all-together wonderful, must-read Reordered Love, Reordered Lives. Start with this short, informed, provocative one in the “students guide” series. 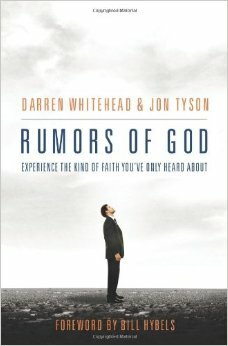 Rumors of God: Experience the Kind of Faith You’ve Only Heard About Jon Tyson & Darren Whitehead (Nelson) $15.99 Between Beth and I we have been to every Jubilee since the founding of the conference in the late 70s and have heard most of the major addresses there. After Tyson’s 2015 Saturday night talk, I exclaimed that this was the best one-time presentation that explains the theological overview of Jubilee in the history of the conference. With his clear-headed, no-nonsense style, it wasn’t, perhaps, the most passionate or the funniest or the most immediately stunning. But, it was exceptionally well received and I think both students and old-timers new this was as historic moment. With tears running down my cheeks I joined others in the holy applause. Faith does relate to all of life, and the lack of a robust vision based on the Biblical scope of Christ’s redemption will continue to haunt us if we don’t grasp these bigger, transforming truths. I’ve been a fan of Tyson and his Trinity Grace church work in New York. His Aussie accent is cool, too. This is his only book, a wonderful overview of Christian faith made real for today. The video of the Jubilee talk will be up at the Jubilee website before too long, I trust, and that content isn’t exactly spelled out simply in this volume. 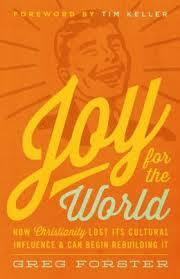 But this is a great, great book, and we were happy to promote it at Jubilee. Darren and Jon invite us into a hopeful, exciting way of looking at both the world and the church. I was captured by their stories of what’s happening all around us and also their dreams of what could be. I have little interest in reading an account of what is wrong with the world or what is wrong with the church, but in this book, I’ve been inspired and energized by what’s right with both. With a passion and wisdom, Darren and Jon are guiding us to a better future. 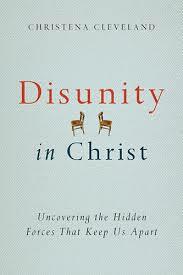 Disunity in Christ: Uncovering the Hidden Forces That Keep Us Apart Christena Cleveland (IVP) $16.00 CCO has long been committed to working on issues of racial reconciliation. Tom Skinner gave a life-changing call to racial justice in the mid-70s that remains one of the decisive moments in my own life, and John Perkins has been a regular at Jubilee in the subsequent 30 years. After Ferguson, etc. it was very important that the sadnesses and injustices and confusions about race be dealt with in a straight forward, non-ideological way. Christena Cleveland is a black sociologist at an evangelical college, charming and kind, upbeat and winsome. And she knows her stuff, as a professional who has done research and who has thought hard about how evangelical faith can shape and inform her own work in cross cultural communication theory. She did a very good, but – I think more importantly – her book is absolutely excellent. It is a major resource, and we very highly recommend it. This explores a variety of things that hurt efforts for church unity – gender, class, theology – and offers very practical insights about engaging in better communication and conflict resolution. Jubilee was delighted to host Dr. Cleveland, and we are happy to continue to promote her wonderful book. 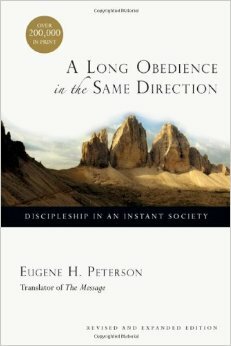 A Long Obedience in the Same Direction: Discipleship in an Instant Society Eugene Peterson (IVP) $16.00 I hope you know that we esteem Gene Peterson as one of the great writers of our time, and that we commend all of his many books. He has always proclaimed and exegeted a down-to-Earth, practical faith, drawing on the likes of the Hopkin’s poem that reminds us that “Christ plays in 10,000 places” or G.K. Chesterton’s phrase “earth and altar.” Yes, daily life and worship go together. Faith and work go together; personal prayer and public policy are somehow related. Our culture, and often, our churches, don’t help us see this, so we need help. Pastor Peterson’s eloquent ruminations on the Psalms of Ascent in this early work of his remains one of his most popular and respected books. If you haven’t read this, you owe it to yourself. I was delighted to promote it from the main stage at Jubilee, and introduce Peterson to a new generation of young readers. 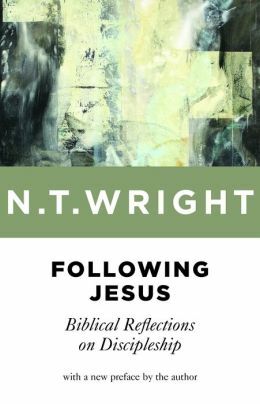 Following Jesus: Biblical Reflections on Discipleship N.T. Wright (Eerdmans) $14.00 Of course we had most of Tom Wright’s important books on display at Jubilee. I wish folks knew this one as it is just lovely. Here, he offers insights about daily Christian living by way of showing how Christ is perceived in different New Testament texts, from the gospel through many of the epistles. Each chapter is meaty, but not too difficult, and makes a great small group study. We have celebrated all of these older Eerdmans titles by Wright, and the new covers they got last year. We sold a handful of most of them, but this one deserves a special shout out. 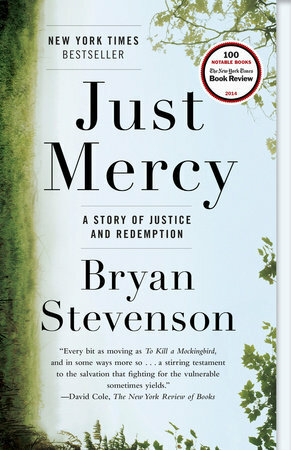 Just Mercy: A Story of Justice and Redemption Bryan Stevenson (Spiegel & Grau) $28.00 I raved about this serious book when it first came out this fall, took it too a few conferences where I routinely said it was one of the most gripping and page-turning books I’ve ever read. I sometimes noted that — even though he is now famous, reviewed in the national press, on NPR, having done impressive TED talks and such, we first met Bryan a number of years ago when our friend Tony Campolo suggested him as a speaker for Jubilee. Stevenson’s eloquent, passionate presentation about racial injustices in the racially-tainted systems of criminal justice, and his concerns about what has become known as mass incarceration, was game-changing for some of us. His story of graduating from a small Christian college and then from Harvard Law School and then serving in a small, non-profit legal aid clinic was inspiring to young students wondering how their own callings and careers might develop. 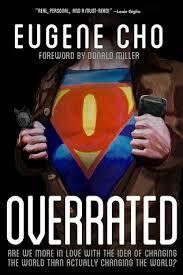 Now that his book is out, on a prestigious publishing house, we can be very, very grateful. We of course had a big stack of these at Jubilee, and I only wish I could have talked to more students about his own Jubilee connections. One of the most urgent books of our time, by a real-life Atticus Finch. 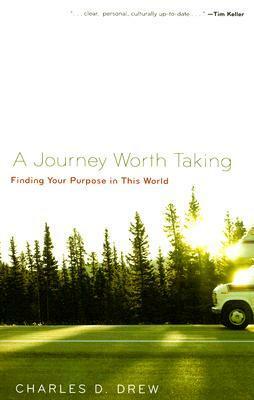 A Journey Worth Taking: Finding Your Purpose in This World Charles Drew (P&R) $12.99 We have a small handful of books on our shelf about vocation and calling. There is the classic The Call by the always elegant and eloquent Os Guinness. There are more detailed theological studies and there are more practical self-assessment tools. And then there are any number (post-Purpose Driven Life type titles, I call them) inviting us to life large and find our sweet spot in God’s world. This, quite simply, is the best of all of these, bringing together the broad Biblical themes with more clarity and nuance than any other, and the essential, life-giving doctrines of vocation. Grace-filled, passionate, but not overstated, this is solid, helpful, a must read for anyone interested in these themes, and certainly for any curious young adult wondering about her calling. 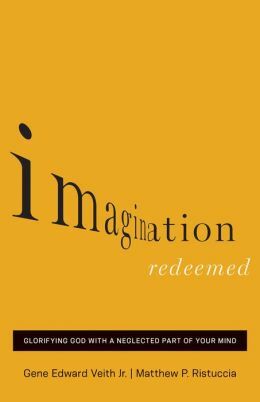 Imagination Redeemed: Glorifying God with a Neglected Part of Your Mind Gene Edward Veith & Matthew P. Ristuccia (Crossway) $16.99 When one starts to think about the imagination, one necessarily starts to consider the field of aesthetics. You may know that we think the serious philosopher Calvin Seerveld is, by far, the most astute and important scholar in the field. But this accessible book is a real delight, upbeat, informative, challenging. There is a study of imaginative themes in the book of Daniel in each chapter, too, which works well as a Biblically-based sort of case study. David Kim (who did a keynote at Jubilee Professional and a workshop at Jubilee) writes of it, “Through their seasoned pastoral and scholarly gifts, Veith and Ristuccia have done the church an incredible service in lifting up the critical role of the imagination in the Christian life.” Heavy weight British composer and writer (Resounding Truth may be the best serious book on a Christian philosophy of music) says “it deserves to be widely read.” Agreed. 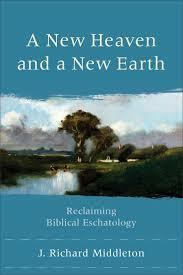 Forster’s deft grasp of history, philosophy, and theology enables him to offer up this rigorous yet accessible book. He offers rich, unique insights into the story of how Christians lost their civilizational influence. Greg Forster’s new book does a marvelous job of showing us a way forward that fits in with Paul’s basic stance – not just preaching at people, but not hiding or withdrawing, either. Within these pages, believers will get lots of ideas about how to “reason” with people in the public square about the faith and how to engage culture in a way that avoids triumphalism, accommodation, or withdrawal. Paul felt real revulsion at the idolatry of Athens – yet that didn’t prevent him from responding to the pagan philosophers with love and respect, plus a steely insistence on being heard. This book will help you respond to our cultural moment in the same way. 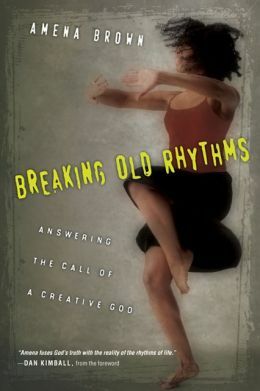 Breaking Old Rhythms: Answering the Call to a Creative God Amena Brown (IVP) $15.00 If you watched the little video montage above, the Jubilee 2015 highlights reel, you’ll have heard Amena’s strong black voice at the start, a hip hop poet doing her spoken word reading of Genesis one (and, wow, did she take off from there!) This book includes some of her amazing spoken word poetry, and great chapters ruminating on it all. 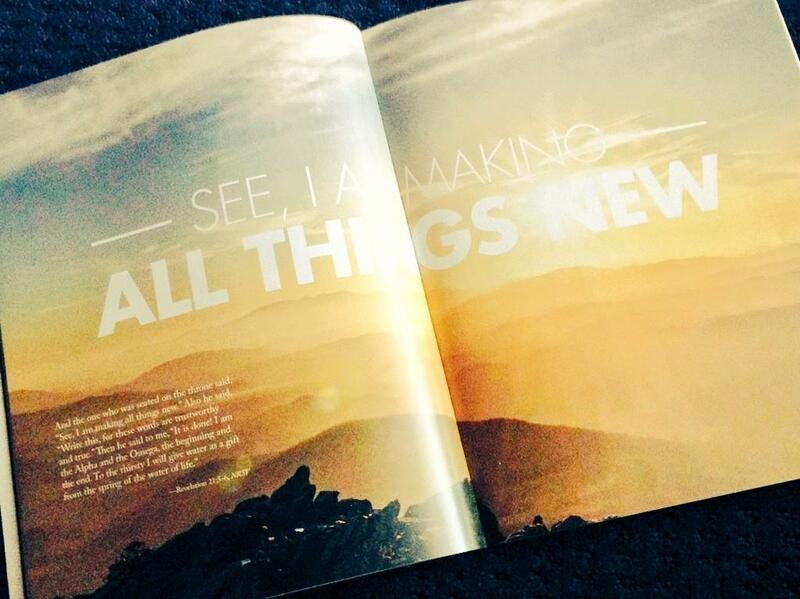 A wonderfully fresh, inspiring book pointing us all to a more vibrant, alive, creative faith. Looooove it. Glad to cross paths with Amena and her DJ hubby again. Here is a great video sample of her work (which you could use) somewhat like one she did at Jubilee. Nice. Yeah, she did this at Jubilee. So good! Watch it! Just for fun, here is a live piece she did at a mom’s conference a while back — beautiful! They crowd loved it, too. Now you can see why we so regularly promote this fine book. Buy Breaking Old Rhythms now while we still have some left at these good prices. 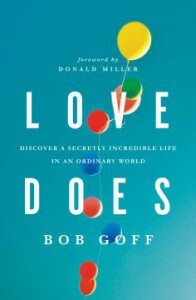 Love Does: Discovering a Secretly Incredible Life in an Ordinary World Bob Goff (Nelson) $16.99 It is not common to run out of a Jubilee book – we bring a ton! But we sold out of Goff’s upbeat classic. Students loved his fun stories, his funny style, his simple truths. We don’t have to judge or demean anybody. We can love all. We can do this. We have this back in stock, so you might want to buy a bunch now at this great discounted price. You won’t regret it. Although it may cause you to become a bit more fun and a bit more happy and that just might raise some eyebrows around you. We dare ya. Do it. By the way, the Love Does DVD curriculum he does is pretty great, too. Here is a four minute video trailer of Bob talking about the book. I am sure you’ll enjoy it. Don’t miss it. Pray for (or donate to) his work starting orphanages and schools in Mogadishu, Somalia and ISIS territory in Iraq, and his beloved Uganda, where he happens to have been given the cool job of being the Ugandan Consulate in the US. (Yep, his house in California actually is legal, Ugandan territory. I don’t even want to know how his diplomatic immunity effects his parking ticket situation.) 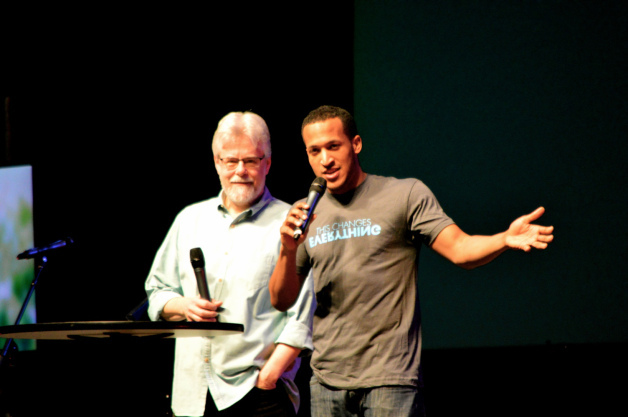 Check out Restore International which he founded in 2012 which works in India, Nepal, Uganda, Somalia and Iraq. His team just keeps doing amazing work, with great joy. transforming the culture, serving the poor, et cetera, et cetera. We happily sold a number of these, and have some more for you now. While supplies last — it’s a good one, by a guy I really respect. Jubilee 2016, perhaps?? 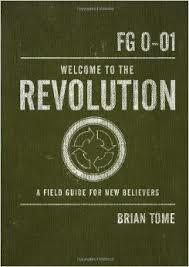 Welcome to the Revolution: A Field Guide for New Believers Brian Tome (Nelson) $12.99 There are oodles of books for new believers, seekers drawn to the church for the first time, the newly committed or newly baptized. Some are very brief, some more heady. This may not be for everyone, but for a feisty young adult who wants to get grounded in a faith community with a missional vision, and be enfolding into a community to learn the ropes of gracie-filled discipleship, it is our best choice. I give it a shout out every year at Jubilee — Brian Tome, you should thank me for putting shoes on your kids feet — and many have been inspired by his upbeat tone, reminding readers of helpful, basic stuff (how to pray, why to read the Bible, the importance of church) in a way that does feel like a welcome to a world-rocking revolution. 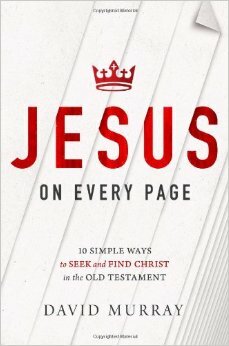 Jesus on Every Page: 10 Simple Ways to Seek and Find Christ in the Old Testament David Murray (Nelson) $16.99 I highlighted a handful of books about how to read the Bible well, and had long conversations about how to handle the quandaries and confusions about the Bible (obviously, questions about the violence in many of the stories always comes up.) This book offers ten different strategies for reading the Older Testament well, with various ways to see the inter-connections within the canon, the relationship of the Old and New Testaments, and how a sane, Christo-centric approach can help. I think there is a lot in this book that is very useful, and even if one isn’t convinced at every turn, we’re happy to recommend it as a good guide to a covenantal reading of Scripture. 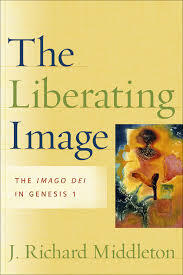 The Liberating Image: The Imago Dei in Genesis 1 J. Richard Middleton (Brazos Press) $27.00 Richard rocked Jubilee Sunday morning with a Biblical studies talk based on his new A New Heavens and a New Earth, which I have rave about over and over. I’m also glad we sold some of his early co-authored books, books very, very deeply important to me, The Transforming Vision and Truth Is Stranger Than it Used to Be. But this one, a scholarly study of what it actually means to say we are made in the image and likeness of God, is not as well known, but, for those who study this topic, it is considered a seminal masterpiece. Walter Brueggemann has suggested it is one of the most important books ever written on the subject. I certainly think pastors, theologians, and every serious Bible scholar should own it, and I think its weighty, vast implications simply must be grappled with. We’re happy to sell it at these sale prices now. We are grateful for the chance to remind you of it now. A New Heavens and a New Earth: Reclaiming Biblical Eschatology J. Richard Middleton (Baker Academic) $26.99 Of course, as I mentioned, Richard gave a meaty, mature message on Sunday morning, and it brought the conference’s structure — keynote talks on the goodness and potentiality of creation, the seriousness and wide-ranging impact of the fall, the decisive redemption bought by Jesus in His death and resurrection, and the promised hope of full-orbed restoration — to a beautiful, coherent finale. I named this book as one of the Best of 2014, and did a long BookNotes review, here. (You can see Richard’s own rumination and summary of his talk at his fascinating Creation to Eschaton blog.) You can get this book at our clearance sale price, the best anywhere. 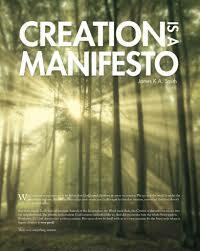 Do it now, because, unlike God’s good, restored creation, this deal does not last forever.